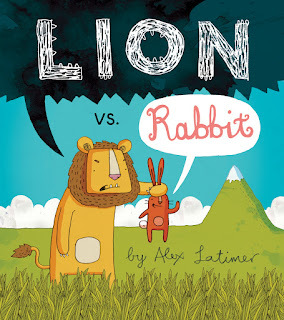 The World of Peachtree Publishers: Lion vs. Rabbit! We've all come up against a bully a time or two. The animals in the newest picture book from Alex Latimer (The Boy Who Cried Ninja and Penguin's Hidden Talent) have tried everything to try and get Lion to stop bullying them, but they might need outside help. Find out who comes to the rescue in this week's blog tour!